JOEY, a video consultant from W.E.D (wedding education department), dedicates herself to promoting romance and lasting marriages to young Singaporeans through her unique videos. Now she is about to fulfill her own dream with GIN, a handsome music teacher whom she has been in a whirlwind romance with after casting him along side with her in a W.E.D video. When Joey announces her upcoming wedding to Gin, her colleagues at W.E.D. are surprised; none of them has ever met Gin in person or heard of him until the video. But they are happy, as Joey was the only unmarried staffer at W.E.D. While Joey’s star is rising at W.E.D, the path to her own wedding is elusive. Joey gets stood up by Gin on her birthday and finds him out and about with a beautiful girl, CECILIA. Crushed, Joey is desperate to find out what’s going on only to be met with rejection and refusal. Is Joey delusional, in need of psychiatric help? Or is Gin just an irresponsible ex-fiancé who needs to be brought to justice? Either way, Joey’s unrelenting pursuit of Gin throughout shows us to what lengths a heart will go to get what it wants and if indeed, there is a winning formula to make love happen under any circumstances. A graduate of Brown University (Class of '96) in America , with a BA in Art Semiotics, Li Lin also spent a semester in NYU doing “Sight and Sound”, an intensive filmmaking production course. Since her graduation she has been working in Singapore as a freelance television producer/director. She's an avid short filmmaker and has done several short films in Singapore so far, three of which have been award winners at the Singapore International Film Festival and two have won awards at American Film Festivals. In January last year the Singapore Film Society organized a retrospective of all her work for members and the public. This event was a first ever SFC retrospective of a local short filmmaker. In 2004, the Singapore history museum (in conjunction with the Substation) organized another retrospective of her work. Since the middle of 2004, Li Lin has been hard at work on her first feature film "Gone Shopping" which was released in July 2007. Grace (G): What inspired you to start on this project? Li Lin (LL): A few years back I met a lady client who was involved in the promotion of marriage. She was intelligent and attractive but turned out to be anti-romance after her fiancé jilted her. I liked the irony such a character presented and the potential for a comedy that could be weaved around her. Jeremy (J): It sounds like Her World/Female/CLEO on film. Do you intend it to be a very womanly film for gals? LL: You can call it a romantic comedy with a twist or a psycho chick flick, as one of my friends puts it. 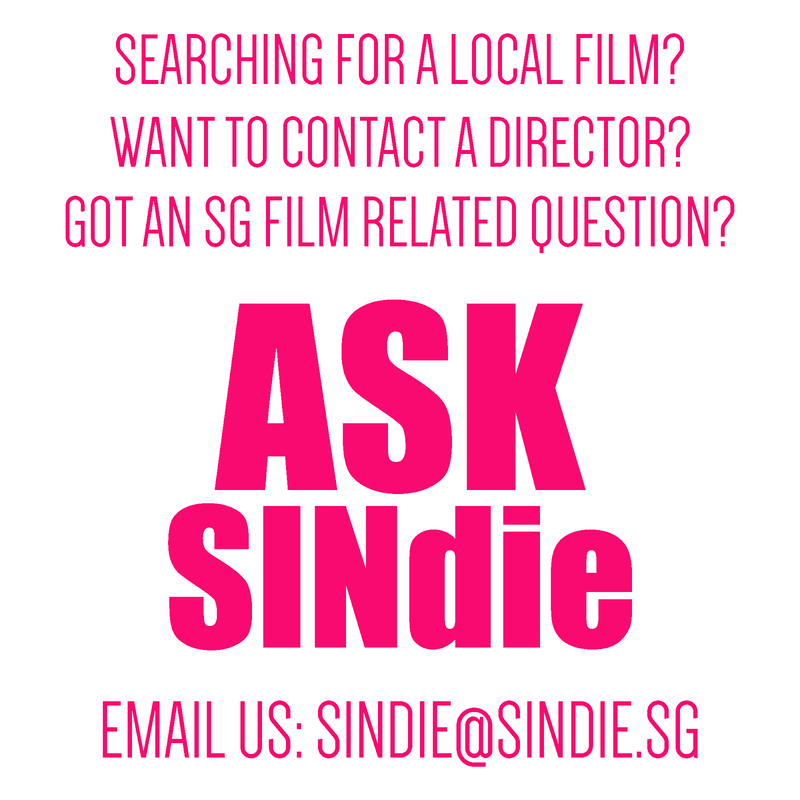 I hope to be able to expand the horizon of the chick flick genre and also to expand on the type of females represented in singapore films. G: How long did you take to make this film from the time pre-production started? LL: From concept to the final shooting script, it took us 18 months starting from early 2008. After putting the finance in place and locking down the cast, we started the shoot in late November 2009. 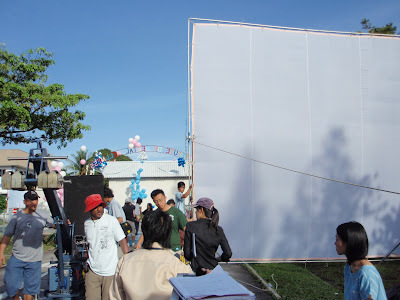 We finished the shoot in January 2010. J: How did you manage to get Mo Tzu Yi to star in your film? And why is he your choice given that this film is set in Singapore? LL: It’s always our plan to have our main cast consisting of both Singapore and foreign talents. We were really taken with Mo Tzu Yi’s quiet magnetism and boyish good looks when we had the opportunity to meet him. His film work in Taiwan is going from strength to strength and we were very happy that he really liked the story and the character of Gin. This is his first non-Taiwanese film. So we're honored. G: Tell us more about "Forever" as a romantic comedy. LL: "Forever" is about a woman following her heart at all costs and in our protagonist Joey's case at outrageous, wacky costs, which we hope the audience will find funny! J: Do you have particular types of genres/settings/premises that interest you? 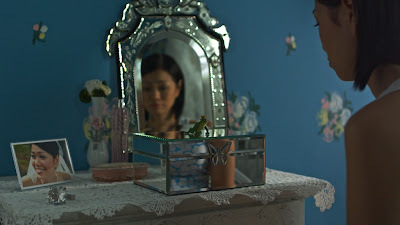 I notice from your previous films, you have a keen eye on contemporary life of the middle to upper-middle class / executive types of Singaporeans, which is a breath of fresh air from the gritty, depressed stories we see from so many others. LL: Thanks. 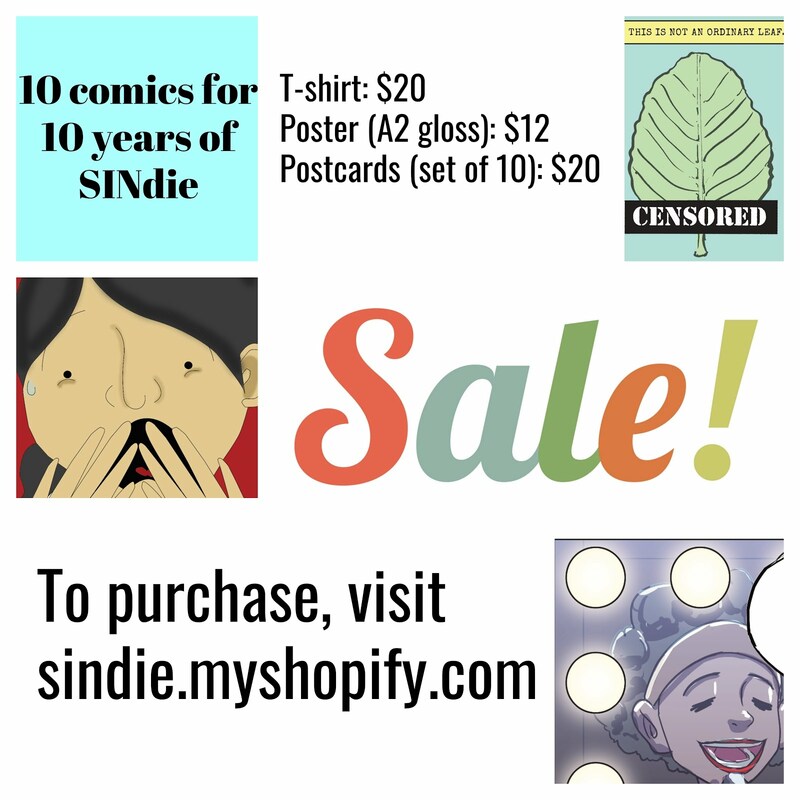 I really enjoy satire and comedy but they are hard to do and i'm still learning. I tend to veer towards American films, as that's what i grew up watching plus I went to an American university where i did some film courses. American mainstream films tend to be more optimistic and idealistic, so that did rub off on me. But I also watched quite a number of American indie films during my uni days which were darker and more subversive and that also rubbed off on me. LL: Charles stepped in as my art director when all other options came to naught. We were both concerned about this arrangement as we have never worked so closely before but Charles is very talented and worked very hard on the film. He understands my humor and his level of commitment and quest for perfection is inspiring. Husband and wife team projects are tricky and we definitely had our challenging days, esp as Charles has never worked on a feature film set and I often expected him to know how to run things like a 'pro'. But we want to go through it again! G: What are your views on the film industry here in Singapore? LL: I think the Singapore film industry is growing at a steady pace but Singapore audiences are not growing at the same speed. The only local films that make it seem to need alot of money backing them in terms of A&P but most local films wont have that kind of money to spend. LL: Im working on a play / film hybrid with one of my best friends, playwright Jean Tay, and I'm also working on my third feature concept. 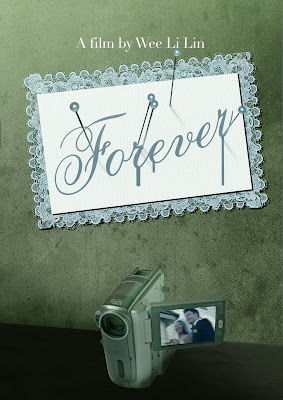 Forever is scheduled to open in Singapore through Golden Village towards the end of 2010. Watch out for it!